Full-time 38 hrs, some flexibility required to work over 7 days. 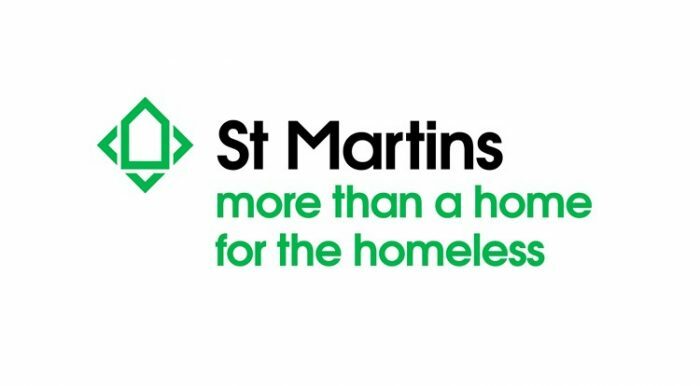 St Martins, a charity helping single homeless people in Norwich, has a vacancy for a Support Officer at Under1Roof, St Martin’s Training and Development Centre. The post holder will be responsible for providing a reception and information service to members and visitors to the Centre, including assisting with all aspects of the Centre’s administration and providing additional practical support to the mental health drop in session. To be successful, you will have excellent organisational skills with the ability to manage a varied workload in order to meet deadlines. You will have extensive experience of general office/administrative type work and excellent computer skills. (Microsoft Office, Excel, and Access preferred). You will need excellent written and verbal communication and good attention to detail and have calm nature and be able to demonstrate empathy with our service users. If you would like further information, please contact Cheryl O’Sullivan, Head of Community Services on 01603 699150. St Martins is committed to safeguarding and promoting the welfare of vulnerable adults. An enhanced DBS check will be required for successful applicants. It all went well, I can’t think how you could improve. Everything was covered well and there is not anything you could have done more or better. There was no scope for improvement. The service was first class. Thoroughly professional, supportive and caring service. For our most recent recruitment exercises we have used CBR Business Solutions' services. We have found the service to be excellent value for money, effective and efficient. CBR staff were quick to provide assistance when it was needed. CBR has been instrumental in the setup of my business. Their HR support has be readily available at all times, and we have worked together to create a professional package, specifically adapted to Q1Care Ltd's requirements. CBR has been a great resource to us providing comprehensive advice on a wide range of HR matters. It’s been like having our own in-house HR department but at a fraction of the cost. CBR Business Solutions is a trading name of Voluntary Norfolk, a Registered Charity No 1112017, and registered as a Company Limited by Guarantee in England and Wales No 5616120.